Patrick Kane scored a spectacular tiebreaking goal in the second period and the Chicago Blackhawks beat Montreal 3-2 on Sunday night, handing the league-leading Canadiens just their second regulation loss of the season. Marian Hossa added his team-leading ninth and rookie Gustav Forsling scored his first in the NHL as Chicago improved to 9-0-2 in its last 11 and ended Montreal's four-game winning streak. Shea Weber and Andrei Markov scored for the Canadiens in a matchup of conference leaders. Both goalies faced teams from their hometowns. Canadiens backup Al Montoya, a Chicago native, made 32 saves. 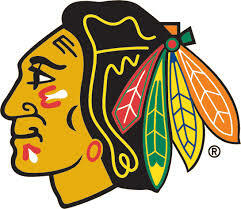 Chicago's Corey Crawford, from Montreal, stopped 21 shots. Kane put Chicago ahead 3-2 with 3:37 left in the second period to cap a terrific individual effort. Kane skated down the slot, fooled Jeff Petry with a move and chipped a shot past Montoya - while falling to the ice with Max Pacioretty checking him closely from behind.